Mizoram Ziona is said to be the head of the world’s largest family. 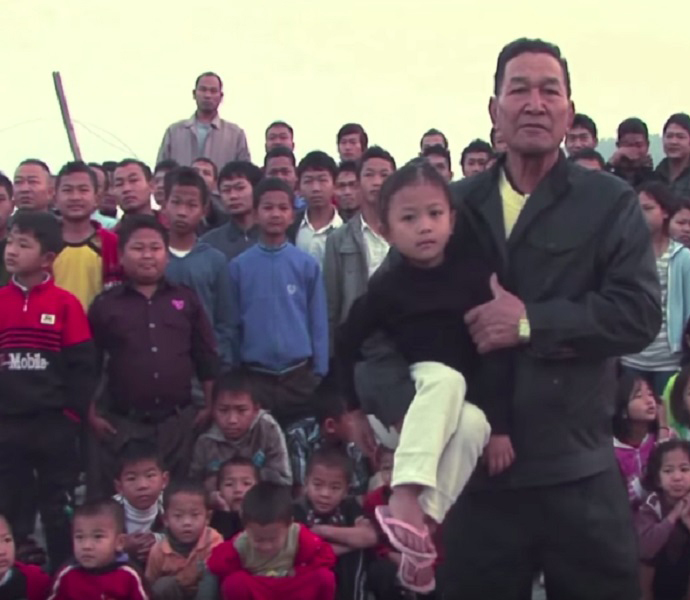 He has an incredible 39 wives, 94 children, 14 daughters-in-law and 33 grandchildren. That’s a total of 180 people in the family. He lives in the Baktawng Tlanguam village of the Sercchip District in India. It is close to the borders of Bangladesh and Myanmar. The whole family lives in the same place and essentially under the same roof, which must be quite trying at times. See what his wives have to say about their unusual lifestyle, from their sleeping arrangements to what it’s like for 39 women to share the same husband.